The audio visual work ‘toxic waste’ is based on the artist’s research and individual interpretation of Indonesian Gamelan Music. With its rhythm based and cyclic structure, Gamelan can in many ways be seen as one of the root sources of, what we know generically now, as electronic music. Reverting back to this complex and unique musical tradition, with its individual microtonal tuning, precise beat frequencies and mainly percussion-based instruments, is used as an inspiring journey in order to create an electronic gamelan orchestra. These virtual instruments are then played within a hierarchical, cyclical framework using methods of chance operations, within the highly structurally determined rules and restriction of the conceptual composition. Gamelan music is compared to only two things, ‘the mysticism of moonlight, and the fluidity of water’. 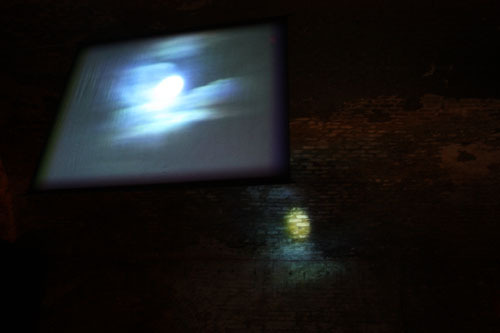 This wide and poetic definition of the genre is then used as a basis for the audiovisual interconnection of the work by, incorporating the distortion of the image of the moon, thought the physical properties of water reacting to the music. 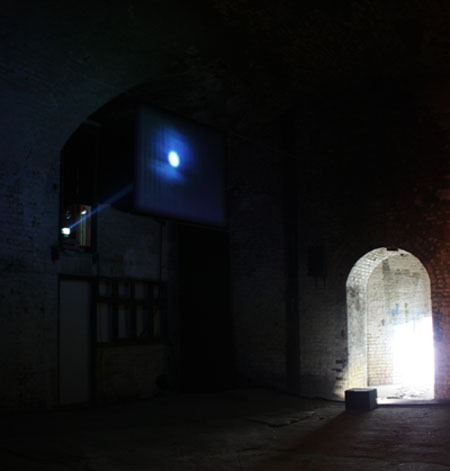 The fundamental structure of the time-based installations is the notion of a constant audio/visual environment, determined not by a specific beginning or end, but by the willingness of the spectator to engage with it, for any length of time. 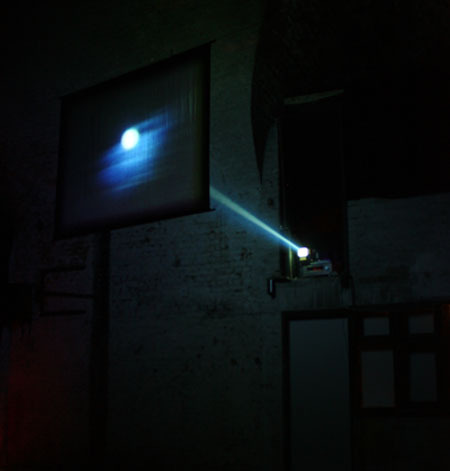 Therefore all components of the work are constructed to loop seamlessly, in order to create non-durational experience. Room size approximately 7.5 x 9 x 7m, situated in a labyrinth of unexpected tunnels, corridors and huge vaults beneath Waterloo Station. Organised by submit2gravity.